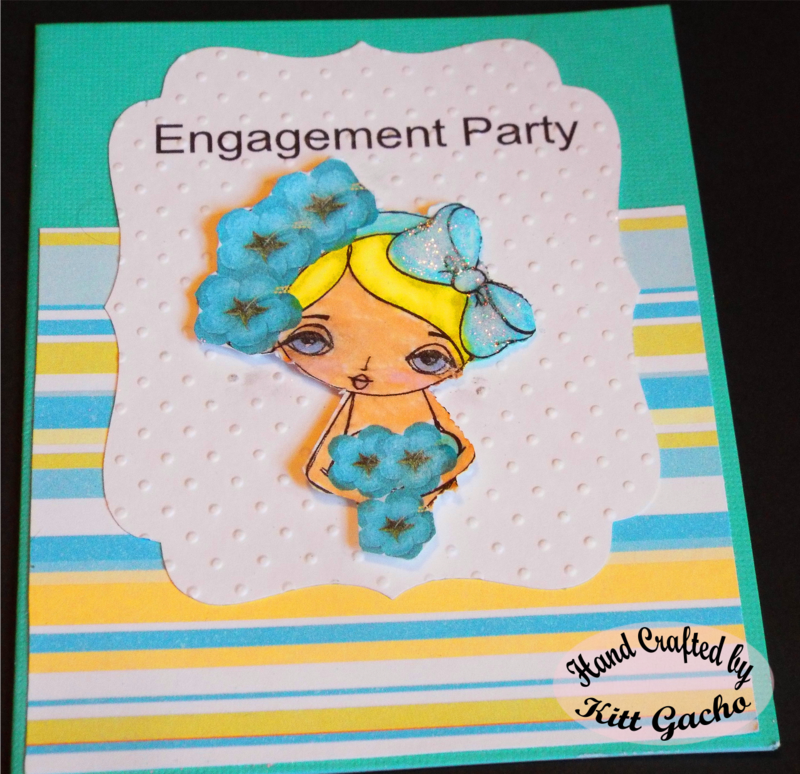 Today's challenge over at Craftitude Challenges is weddings and flowers. Well before you get married you get engaged right? That is why I created this card. The image is from Dilly Beans called Tulia's Heart. I had an idea of how I wanted to use the heart shape but it didn't work out that way. The flowers ended up looking like a bouquet. That made me think of a bride, but the colors I was using and the theme made me think of bride's maid. I didn't know what kind of sentiment I could use and that is how I came up with the engagemnent party. I used Cuttlebug swiss dots embossing folder for the mat, which I printed and cut with the Silhouette Cameo. I also used Spectrum Noir makers to color the image. I added Stickles diamonds to the head bow. Thanks for stopping by today and leaving your lovely comments. I enjoy reading them. Have a happy crafty day.